Periodontal disease, commonly known as periodontitis and gum disease, is a progressive disease which affects the supporting and surrounding tissues of the gums and underlying jawbone. If left untreated, periodontal diseases can result in loose, unstable teeth, and eventually complete tooth loss. Periodontal disease is the leading cause of tooth loss in adults in the developed world, and is a condition that can contribute to a wide array of other life-threatening illnesses. Periodontal disease starts when the plaque builds up, and the toxins begin to attack the gingival tissue surrounding the teeth. This bacterium embeds itself in the gum and rapidly breeds, causing a bacterial infection. As the infection worsens, the bacteria spreads, causing inflammation and irritation between the teeth and gums. When this happens, the gums appear to recede due to the deepening pockets. Without proper care, the tissue which makes up the jawbone can also begin to recede, causing teeth to lose their stability, and eventually complete tooth loss. Poor dental hygiene - Preventing dental disease starts with proper in-home oral hygiene, and a balanced diet. 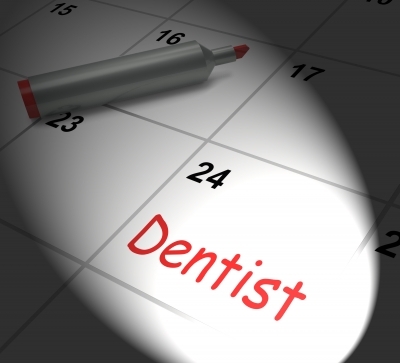 This should also include regular visits to the dentist, which include exams, cleanings, and x-rays. In-home, and in-office cleanings, are essential to preventing bacteria and tartar buildup, and preventing the gums and bone around the teeth from becoming affected by bacteria and toxins that cause gingivitis or periodontitis, which can lead to tooth loss. Tobacco use – Smoking and tobacco use is one of the most significant factors in the development and progression of gum disease, a fact that is backed up by years of in-depth research. In addition to smokers experiencing a slower recovery and healing rate, smokers are far more likely to suffer from calculus, or tartar, build up on teeth, which contributes to the deepening of pockets in the gingival tissue, and significant bone loss. Pregnancy and menopause – Regular brushing and flossing should be a part of every healthy pregnancy. This is largely due to the hormonal changes experienced by the body during pregnancy, changes that can cause the gum tissue to become more sensitive, making them more susceptible to gum disease. Chronic stress and poor diet – Stress lowers the ability of the immune system to fight off disease, which allows bacterial infections the ability to beat the body’s natural defense system. Poor diet can also lower the body’s ability to fight off periodontal infections, as well as negatively affecting the health of the gums. Diabetes and underlying medical issues – Underlying medical conditions can intensify or accelerate the onset and progression of gum disease. This includes respiratory disease, heart disease, arthritis and osteoporosis. Patients with diabetes are at an increased risk due to the fact that the disease hinders the body’s ability to utilize insulin making it hard to control bacterial infections. Grinding teeth – The clenching or grinding of the teeth can significantly damage the supporting tissue surrounding the teeth. Grinding one’s teeth is usually associated with misalignment of the teeth, or a “bad bite’. When an individual is suffering from gum disease, the additional damage to the gingival tissue due to grinding can hasten the progress of the disease. Medication – Many drugs, including oral contraceptive pills, heart medicines, anti-depressants and steroids, affect the overall condition of teeth and gums; making them more susceptible to gum disease. Steroid use stimulates gingival overgrowth, which makes swelling more likely, and allows bacteria to colonize in the tissue of the gums. Periodontists specialize in the treatment of gum disease, and the placement of dental implants. A periodontist can perform cleaning procedures in deep pockets, such as scaling and root planning, which can be effective in slowing the progression of periodontal diseases. They may also prescribe antibiotic and antifungal medications used to treat infection, and halt the progress of the disease. In the case of tooth loss, the periodontist is able to perform tissue grafts to promote natural tissue regeneration, and, if needed, insert dental implants, if a tooth or several teeth are missing or damaged beyond repair. Where gum recession causes a “toothy” looking smile, the periodontist can re-contour the gingival tissue to create an even and visually attractive appearance. Preventing periodontal disease is critical in preserving the natural dentition. Addressing the causes of gum disease with your dentist will help prevent the onset, progression, and recurrence of periodontal disease.